We have a small flock of geese living next door. They hang out at our place quite a lot. They're quite peaceful, unlike other geese I've known. They honk at me when I reverse the car in their direction. 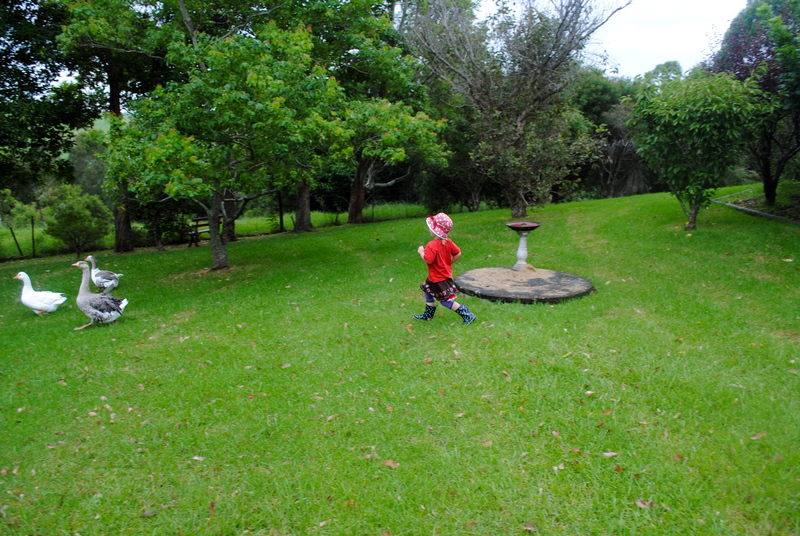 Their peacefulness ended when Matilda Daisy moved in next door. 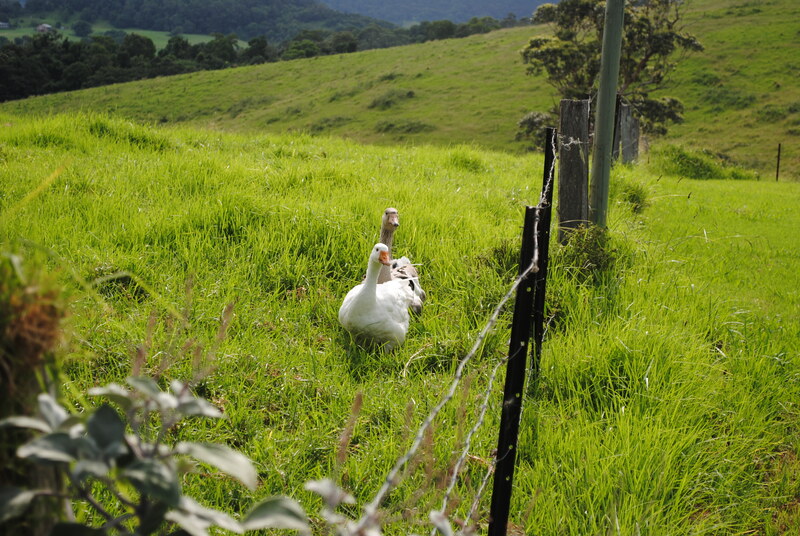 We got a pair of geese last year, and next to chooks they are now my favourite of all the animals we’ve ever had. They’re smart enough but not too smart (like goats), they’re endlessly engaging, affectionate, picture-book cute. 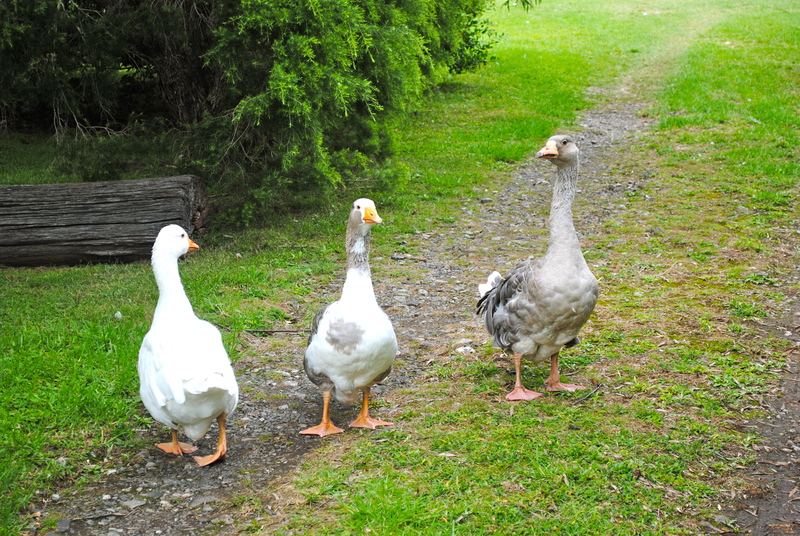 We hoped they would be “guard geese” for the chooks and other poultry. 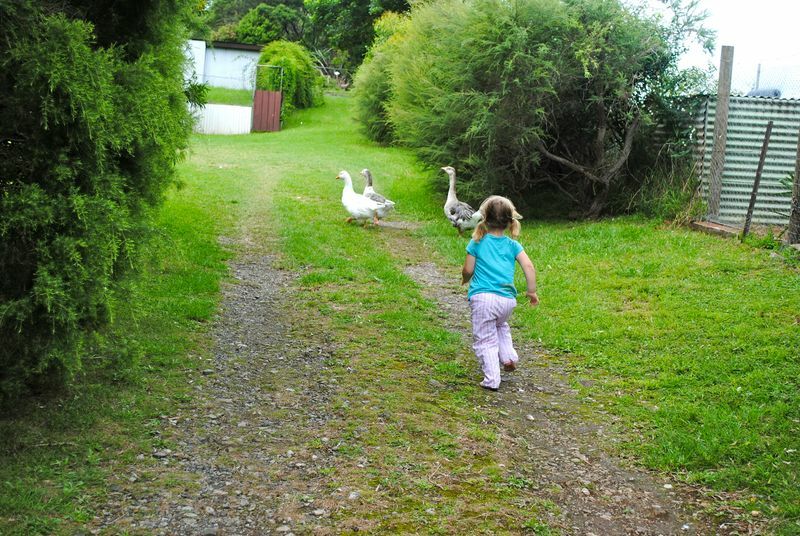 They’re noisy, and the honking is scary enough to sound fierce but they are actually really tame – they run to meet us when we come home. they look great and Linda’s comment is encouraging too. I always found them a bit scary but when I was little. good to have neighbours visiting!